“ ‘Ew you’re disgusting — you’re crazy!’ ” Tamara Lawrence of Roxbury said, imagining telling her friends about such a scenario. 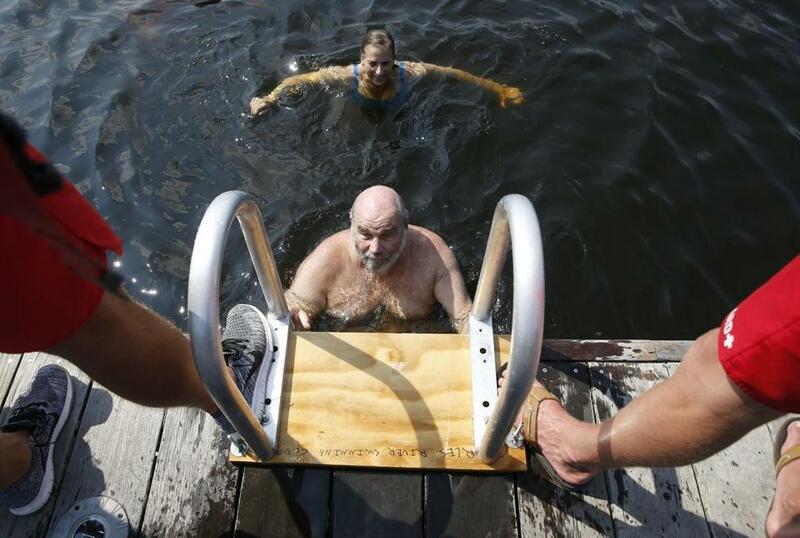 Swimmers jumped off of a dock during sanctioned swimming in the Charles River. 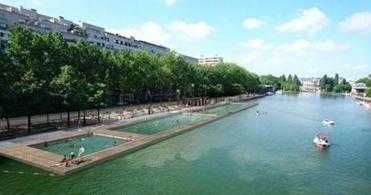 Paris next month will unveil three public swimming areas in a once-polluted canal. Can Boston learn from that model? The first City Splash, in 2013, was one of the first public community swims in the Charles since beaches were shut down more than 50 years ago because of health risks caused by industrial activity along the river. And as Parravano recalled, making the Charles swimmable has been years in the making. In 1995, the EPA launched an effort to make the Charles safe for swimming, but with a grade of “D,” it had a long way to go. 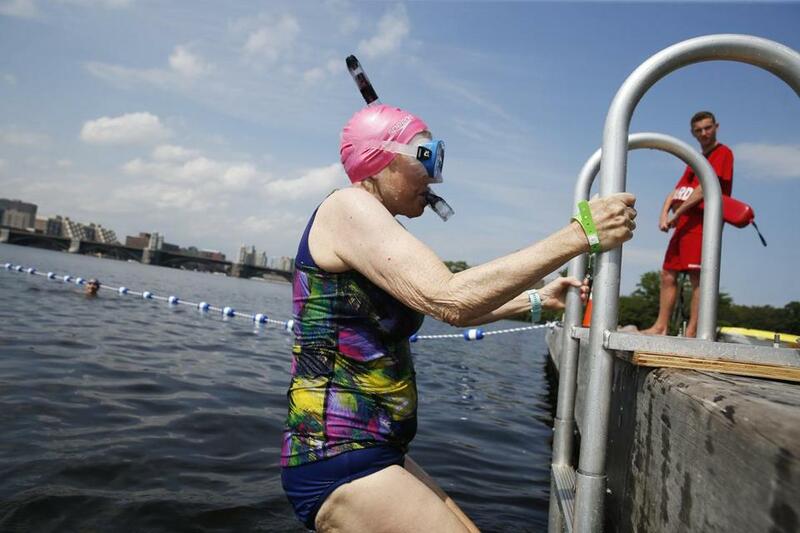 Barbara Evans of Lakeville climbed out of the water Tuesday after a sanctioned swimming event in the Charles. One woman floated in the river. Lifeguards kept a foot on the dock ladder to make sure it remained secure.